A Fidelity and Guaranty Insurance Underwriters Inc. health insurance company review uncovered the fact that it is a subsidiary of Travelers Insurance Companies. This company is one of many subsidiaries. This one however was originally licensed in Wisconsin, and is now located in St Paul, MN and Hartford, CT.
To get health insurance rates today, enter your zip code here to start the process. Fidelity and Guaranty Insurance Underwriters is also a division of United States Fidelity and Guaranty Company of Baltimore. USF&G is no longer in existence as of 1998. The parent company opened its doors in 1896, and had a good run according to the amount of money reported and some of its accolades. In 2004, USF&G merged with Travelers property and casualty, and based on market value, is the largest American Insurer. This information is according to the NYSE. Health insurance as it relates to property and casualty is actually for business policyholders who are required to carry worker’s compensation and Travelers company employees. When claims come through the company involving employees of Travelers’ policyholders or Travelers’ company employees, it is the underwriter’s job to make a decision regarding the claim. Any underwriter would be quick to declare that it is not always an easy job, regardless of how proficient they are. It is obviously a position where you cannot please all the people all of the time. Underwriters receive your claims package after the fact-finding mission performed by the adjuster, repair shop, medical doctors, and claims processor. Their responsibility is to corroborate your story as to the series of events, and document their findings. The processors gather these pertinent facts in preparation for the underwriter. When the underwriter analyzes everything, a decision is made as to whether your claim is approved. This is when some people are disappointed, and the company in turn generates an unhappy subscriber. However, the underwriter has a certain set of guidelines to follow, and when there is a judgment call, upper management has to stand by the underwriter’s decision. Medical liability can be very costly for insurance companies. Sure, repair bills for automobiles and property can be costly as well. At the same time, it is important for companies to implement ways to minimize the costs on either side. When there is damage to property, you can usually place a value on it. Fix it or replace it and everyone is happy. However, it is hard to place a value on life, which causes debate about the measure of pain and suffering someone experiences after an accident or death. These numbers can run in the millions for one case, therefore insurers must anticipate an estimated projected amount it would cost the company for the worst-case scenario. To do this, they look at risk factors and estimates. They also work to counter the risk factors with education and safety precautions. No one is ready for the unpredictability of a catastrophe. The only thing any can do is to prepare them as best as possible for the worst. Fidelity and Guaranty Insurers through Travelers offer resources to their subscribers. 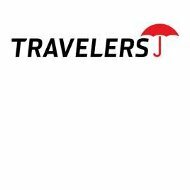 Travelers’ has a catastrophe team who works out of the company’s Catastrophe Management Center. This team is ready to assist with mobile claim specialists who travel to the affected site to be on hand to deliver services to those who need to file on-site claims and receive debit cards for their immediate needs. Others are at the company’s home base away from the site to offer support via telephone or email. They also generate plans of actions to assist from their remote location where they can support you in implementing the plan. For prevention and recovery Travelers has put together educational resources and tips. When a worker is injured on the job, the first thing he or she is instructed to do is call their supervisor. Of course, this is secondary to addressing emergency medical conditions. Once the incident is reported the supervisor files the claim on the worker’s behalf, and a representative will contact the worker for further details about the incident. Once the worker is no longer in doctor’s care, they can return to work with the proper documentation. The insurance company encourages the worker to make a full recovery before returning to work to avoid medical setbacks. Once the case is closed or settled, it is just a matter of a short time before you receive your check. To get health insurance rates today, simply enter your zip code here and wait for further online instructions.